A researcher needs to search a metadata collection to identify data objects of interest. 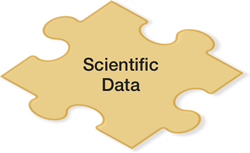 Researchers and scientists in most fields use metadata to describe their data in order to preserve and communicate their understanding of the data's history, meaning, and key features. Metadata can be vital when searching for data, when reusing data, and when reproducing scientific results.